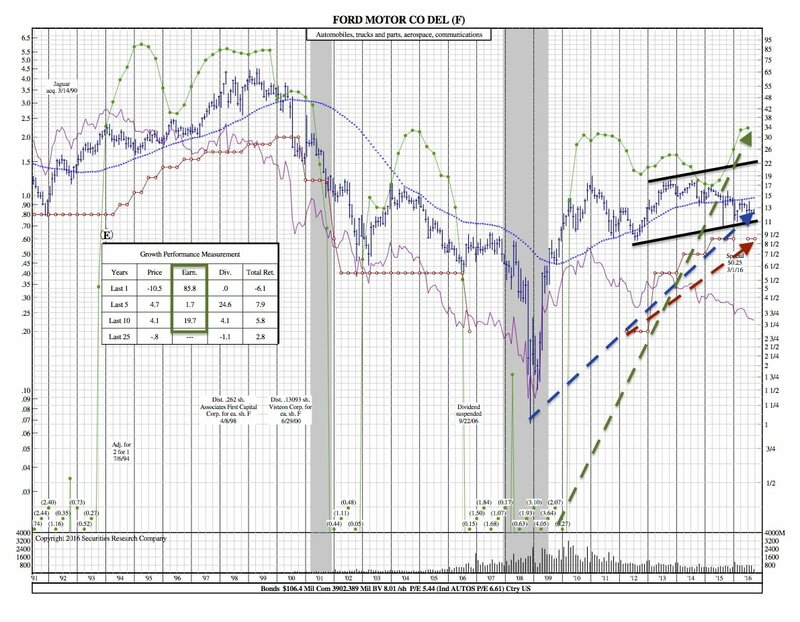 Ford ($F) told investors that its new business services unit eventually will deliver 20% margins, 2.5x its core automaking operation. It updated its plans for venturing into robo-taxis, electric cars and other transportation services like bike-sharing and shuttle vans. Looking at the 25-Year Chart, the most impressive feature is the earnings growth, an 85.8% increase in the last year. Dividends have also grown at an impressive rate over the past 5 years at 24.6%.